The "Beverly Hills 90210" actress announced on her website that she was pregnant. Again. Actress Tori Spelling and her husband Dean McDermott are expecting their fourth child together, just five months after the arrival of their daughter, Hattie. Just five months after giving birth to daughter Hattie Margaret, Tori Spelling took to her website Friday to announce that she was pregnant, Us Weekly reported. "Dean, Liam, Stella, Hattie, and I are beyond thrilled to announce that another little McDermott is on the way! We feel truly blessed that another angel has found us," Spelling wrote, which was accompanied by a photo of her growing baby bump. 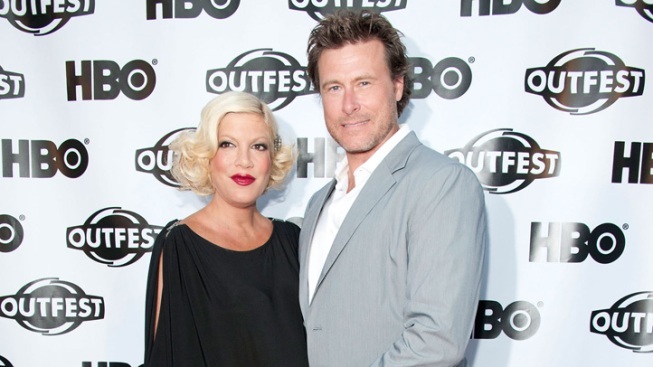 The “Beverly Hills 90210” actress wed actor Dean McDermott in 2006. They have since starred in a series of reality television shows on the Oxygen Network. Spelling, 38, and McDermott, 45, have both expressed their desire to have a large family. “You lost your mind after the second one, so the third, fourth and fifth, it's like you're so far gone, it's just kind of the same,” the actress revealed. The newest addition to the McDermott clan will join brother Liam, 5, and sisters Stella, 3, and Hattie, born October 2011.